The horrific attack on Jussie Smollett has captured the attention of the media, and the alarming reality is that these attacks are happening to people practically every day across this country. In fact, FBI hate crimes statistics released last year revealed a disturbing increase of 17 percent in reported hate crimes from the previous year. A hate crime, also known as a bias-motivated crime, occurs when the perpetrator intentionally selects the victim because of a bias or prejudice. Each year, thousands of violent hate crimes occur. They affect not only the victims and their families, but the entire community or group of people that they target. Most hate crimes are prosecuted at the state level, which is why state laws are so important. Unfortunately there are gaps in protections from state to state. Five states (Arkansas, Georgia, Indiana, South Carolina and Wyoming) have no laws addressing the scourge of hate crimes, and there is variation in the list of protected characteristics in states that do have enumerated hate crime laws. 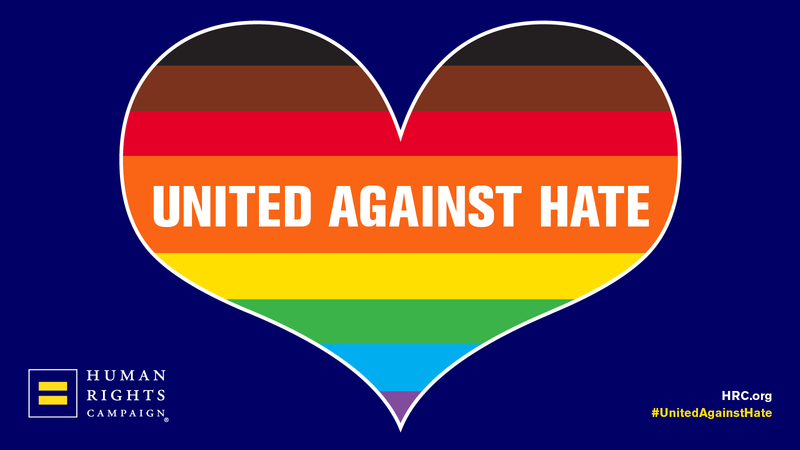 Only 19 states and the District of Columbia have laws that address hate or bias crimes based on sexual orientation and gender identity. Eleven states have laws that address hate or bias crimes based on sexual orientation only. Learn more about the hate crimes laws in your state. Last year, the nation marked 20 years since Matthew Shepard’s brutal murder. Just months before Matthew was murdered, James Byrd, Jr., a Black man, was beaten by a group of white supremacists, tied to the back of a pickup truck and dragged three miles before dying. After their murders, both families became tireless advocates for a more inclusive federal hate crimes law. Their work led to the passage of the Matthew Shepard and James Byrd Jr. Hate Crimes Prevention Action (HCPA) in 2009. This law made numerous gains at the federal level -- but state hate crimes laws remain critically important because that’s where most crimes are prosecuted. Learn more about what the HCPA does and doesn’t do. Many people do not realize that reporting hate crimes to the FBI is voluntary — meaning thousands of law enforcement agencies are not reporting these crimes to the FBI. As a result, these crimes are undercounted and we do not have accurate data. For example, the entire state of Mississippi reported only one hate crime in 2017 — that’s not because they have fewer hate crimes than most small and medium sized cities, it’s because they are not reported. In fact, according to a 2016 Associated Press study, nearly 17 percent of all city and county law enforcement agencies nationwide failed to report hate crimes data to the FBI in the prior six years. Greater awareness about the epidemic of hate violence and the communities most vulnerable to it. Get medical help, if necessary. Write down all of the details of the crime as soon as possible after the incident. Include the gender, age, height, race, weight, clothes and other distinguishing characteristics of the perpetrator(s). If any threats or biased comments were made (such as anti-LGBTQ or racial epithets), include them in the report. File reports. When filing a police report, be sure to get the responding officer’s name and badge number. Make sure the officer files an incident report form and assigns a case number. If a police report is not taken at the time of your report, go to the police station and ask for one. Always get your own copy, even of the preliminary report. Reach out for support. If you feel comfortable and safe to do so, reach out to friends and family about the attack. You might also find comfort and healing in professional help from an LGBTQ-affirmative counselor or therapist. The FBI has resources to help victims of crime, and you can contact anti-violence support services, such as the National Coalition of Anti-Violence Programs.